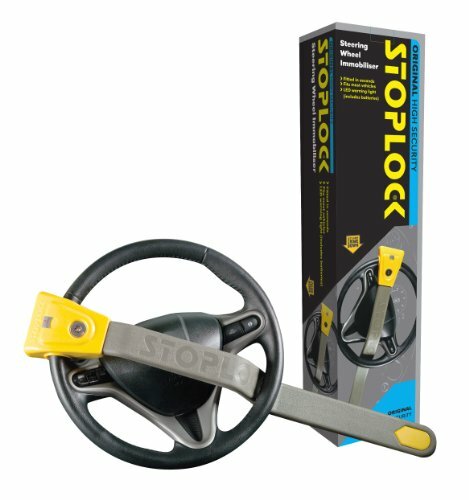 How to install and unlock a steering wheel lock ? When we leave our car for a few hours, we are sometimes have this fear of being robbed. That’s why today, there are several models of mechanical locks on the market. An effective product to deter thieves. MORE THAN 230.000 STOLEN CARS EVERY YEAR ! Some anti-theft models are attached to the pedals or the steering wheel. Others to the parking brake or gear lever. Then, the question is which model to choose ? How to lock and unlock it ? So many questions we will try to answer. To help you find your way through the wide range of steering wheel locks available on the market, we tested the best models for you. Therefore, we want to share with you our opinions and the benefits of each model. You will find below our top 3. – its fluorescent yellow color allowing to be noticed. Which may destabilize thieves. – its LED light, which allows to be visible at night. 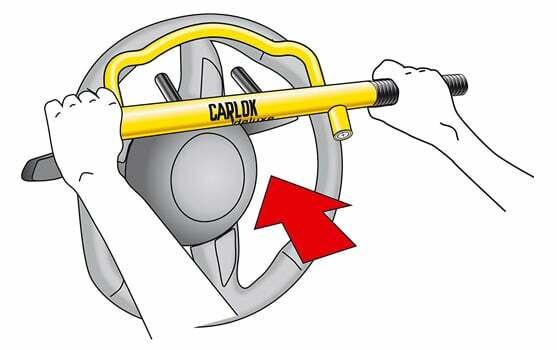 This model of lock is installed on the steering wheel and requires no keys. Indeed, all you have to do is to choose a code among many possible combinations. It couldn’t be simpler. Finally, its quality-price ratio is one of the best on the market at this moment as it turns around 25£. - It has a warning light for visibility in the middle of the night. - No key required - Code combination with more than 10,000 possibilities. 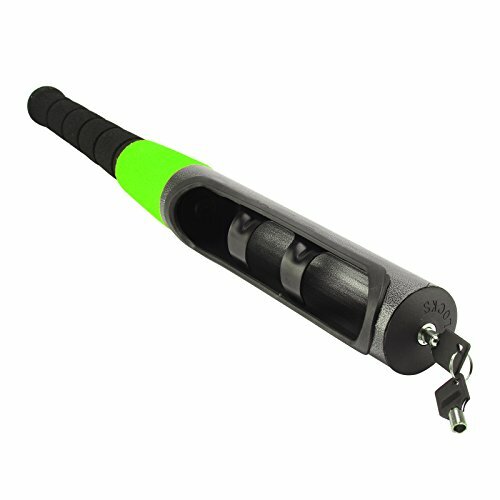 We invite you to discover the best anti-theft cane for your car that exists on the market today : the Master Lockmodel 256EURDAT. 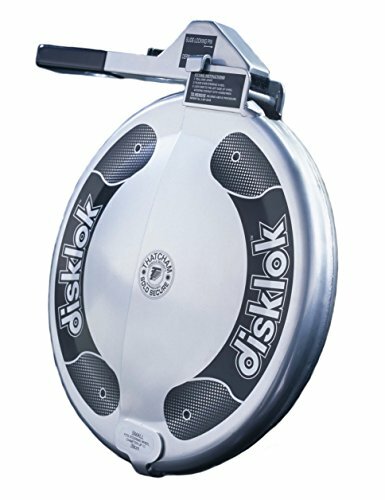 This one is for the steering wheel and pedals, a model very popular because it is very reliable. 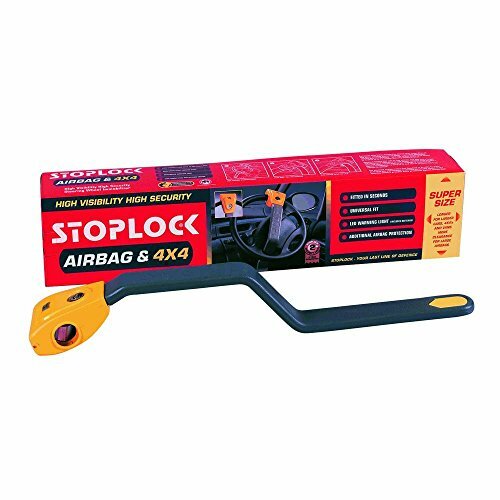 Despite its low price (15£), it is a product that has proven itself over time, and that ensures maximum safety of your vehicle. 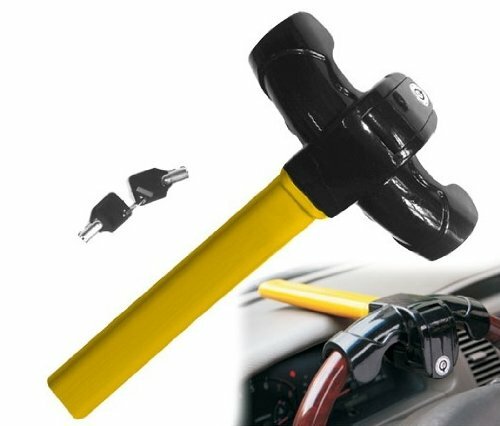 Expandable up to 77 centimeters, it is suitable for all types of vehicle, so it is a safe choice if you have decided to buy one. 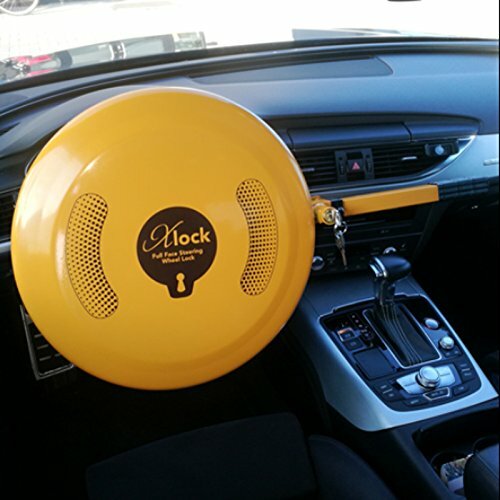 Easy to install, in just a few seconds, you can protect your car at a lower cost. 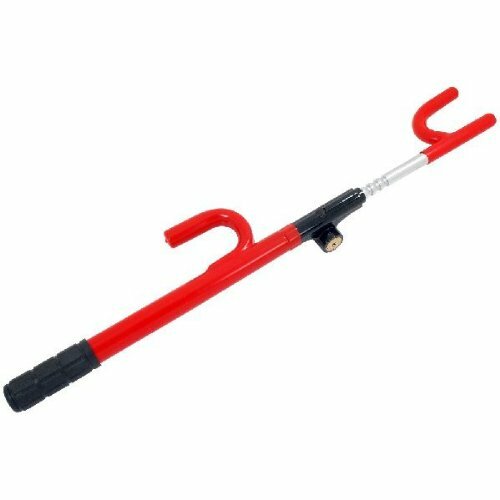 Bright red, this anti-theft cane is very visible, which is a nice way to deter thieves. 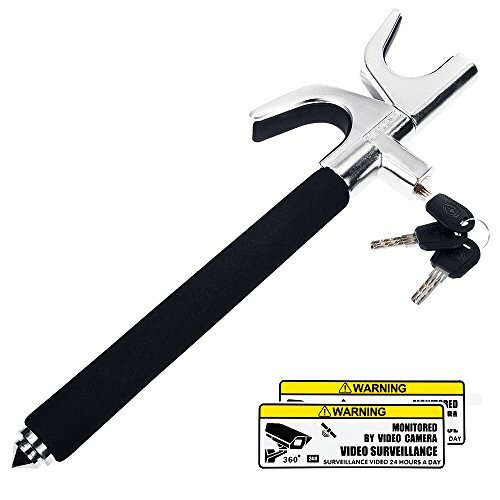 When you want to buy a locking system for your car, the task it is not as easy as it seems. Actually, several models are available on the market, and to make a choice is not evident. First of all, to help you, let us have a look at the installation process of the anti-theft. 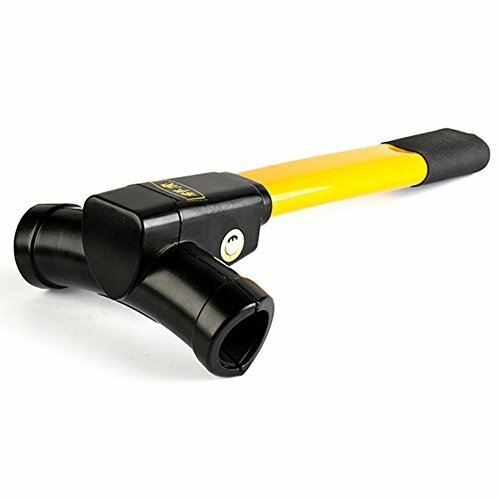 Undoubtly, few models are very simple to install and to unlock, using a key or code. Others come with two keys, which is a key point to ensure maximum security. Before making your choice, we advise you to properly find out for yourself about the model to choose, and read the instructions carefully to prevent damage mechanism. 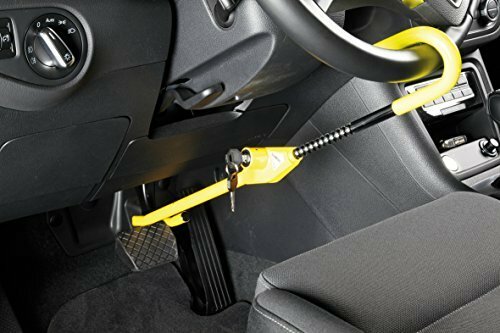 As mentioned earlier, the steering wheel lock is a very effective mechanism to protect your car from criminals or thieves. But there are also other solutions. Indeed, before moving away from your vehicle, we advise you to check that it is well locked, by pulling the handle for example. Yes, according to experts, thieves can jam the signal between your key and your car, so that it remains unlocked. Then, we advise you to park on a place clearly visible by the passers-by. Thus, if something abnormal happens, you will probably be aware of it sooner. Finally, the last tip that we propose here, is to leave nothing visible in your car. Certainly, if you park your vehicle in a dark place without anyone passing by, with a computer on the rear seats, you greatly increase the chances of being robbed. Of course, keep your keys in a safe place, without risk of it being stealed. Through this review, we proposed you some tips to protect your car better when you are away. 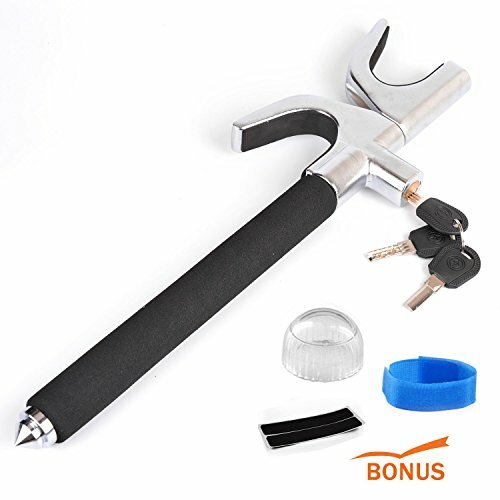 By providing you with an effective and visible steering wheel lock, you will necessarily be satisfied, because you can be at ease. The two models that we mentioned above are the best on the market today, but there are many others!